Apr 16, 2008 — Dr. Jonathan M. Backer has been appointed the next director of the Belfer Institute for Advanced Biomedical Studies at Albert Einstein College of Medicine. Dr. Allen Spiegel, The Marilyn and Stanley M. Katz Dean of the medical college, announced the new appointment. Dr. Backer succeeds Dr. Allan Wolkoff, who is stepping down after his five-year term as director. Dr. Backer graduated from Harvard College and received his MD degree from the joint Harvard/MIT program. 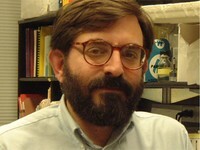 Following a research fellowship at Harvard and the Joslin Diabetes Center, he joined Einstein’s Department of Molecular Pharmacology in 1993 and was appointed professor in 2002. Dr. Backer studies a family of enzymes, known as the phosphoinositide 3-kinases (PI 3- kinases), which regulate key cellular activities. These enzymes are vital for normal insulin action, and inappropriate activation of PI 3-kinase signaling is strongly implicated in human cancer. Dr. Backer has trained some 20 individuals in his own lab and has served on the Belfer Institute Advisory Committee for nine years. Dr. Backer will also be working with the Belfer Advisory Committee to improve communication between post-doctoral fellows and the Einstein administration.